Nairn black nylon clip 6mm to suit shock cord 5-7 mm with opening to 8mm. Nairn extra strong hinges made from glass filled (30%) nylon, large stainless steel pin. Nairn nylon drain plug with stainless steel retainer(keeper). 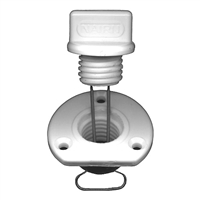 Nairn nylon drain plug with a precision fit watertight seal without the need for O rings. Nairn hose connectors are made from extra strong and chemically resistant acetal resin. Nairn inspection ports are manufactured to high tolerances using premium materials to provide high strength, durability, watertightness. Nairn lids are made from ABS plastic while polycarbonate plastic is used for clear lids to give both high transparency and impact resistance. 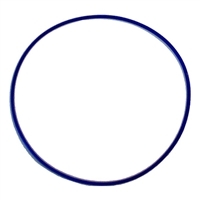 Rubber O-ring for Nairn Inspection Port. 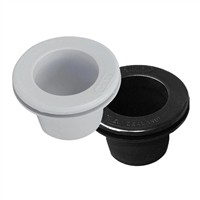 Plastic moulded drain plug with a quick action bayonet closure into a plastic base. Nairn skin fittings are made from extra strong and chemically resistant acetal resin. Nairn skin fitting backnut is made from extra strong and chemically resistant acetal resin. Nairn slop stoppers are a splashproof boot that prevents damage to cables, hoses in engine wells etc. Protection for wiring and plumbing from chaffing, by neatly finishing holes. Nairn black nylon tube clips for the handy stowage of oars, paddles, boat hooks etc. Nairn white nylon tube clips for the handy stowage of oars, paddles, boat hooks etc.